Drew and Johnathan kicking things off at the 5am. Kat might be new but executes every squat like a veteran. Great Job and welcome to the Silverback Nation. Let us have a moment of prayer for the push-ups we are about to do. Cassie and Mac both displayed awesome form and posted great scores. Was shooting for 21 but came up short. Ended up at 225lbs for the cleans, it was ugly but I got it. Ok Cindy, I am psyching myself up for you again. You beat me down last time but I am ready for you today. Oh no, I have to keep count of something? Good workout to start my 2nd year at Crossfit. See ya’ll at 5:30pm. I think it helped to chase Drew and Jonathan (never caught them due to push ups) and at the same time stay ahead of Steve (only b/c of my squats)…. not sure why this is so motivating to me but it helped me get another round. I think my pull ups have greatly improved also. I think I only broke the set 3 times. Got 120 on cleans couldn’t get 125………I’ve got mental issues. Nobody, I mean nobody is going to respond to that? I’m not sure, but I think you want people to say something mean about me!! That’s not nice Matt, you know what I meant. That is pretty wide open. Kinda of like a soft ball tossed out over the plate. There is no way I’m gonna try Cindy after yesterday. Sorry but that would not be fair to my legs. Can I have a do over on Thursday? Got 115# on the cleans which is a PR for me by 10#. Felt like I could have done more if I got my technique right. Actually felt a LOT better last week when we did the 3×3 cleans. 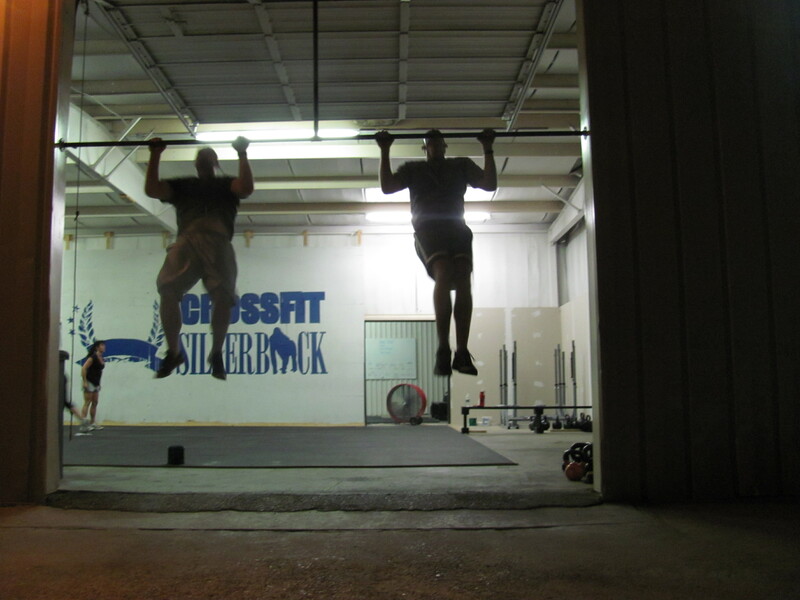 Got 16 rnds for the WOD which is one more than 9/21/10. I feel like my pull ups are degenerating. How come? 17 rounds – last time 14, plus moved from the teal band to purple band! It is encouraging to see improvement. Props to Tracy for going at least 17 rounds – even after taking a minute off in the middle to run to her car. Great job, Sivi and Christina, too. Poor Zach got stuck with all girl-rillas today. Thanks, Zach, for the clean technique coaching – it really helped me. Thanks, Rachel – I love working out with you! You are always such an encouragment!!!! Thanks, Zach for another GREAT class!!!!!! 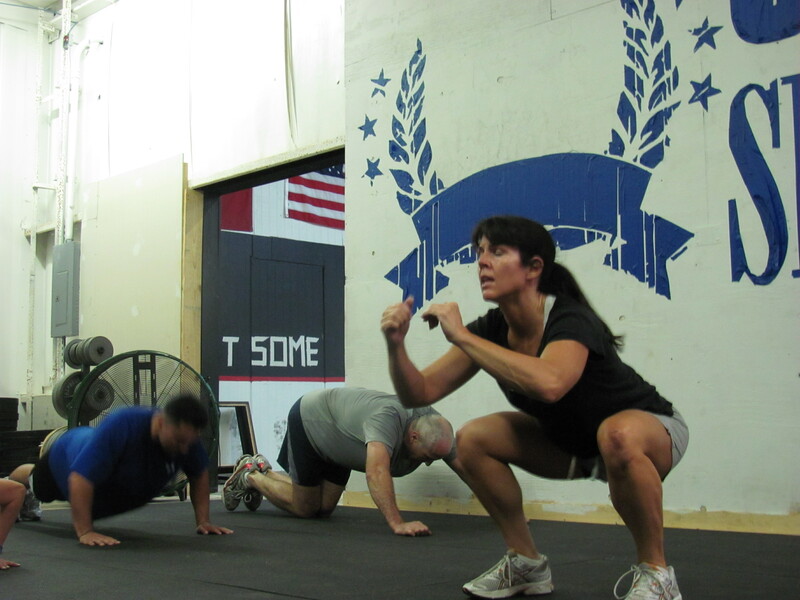 Sivi – GREAT job with the cleans!!!! Christina, great job!!! Sorry I spelled your name wrong, TracEy. I know better – won’t do it again! Loved working out with just the girl-rillas today! Dan, we did miss you though. Hope the back gets better soon. Zach-you are awesome! Love working out with you @4:30! Thanks! A LOT of PR’s were set today at 5:30 – way to go everyone! Well I guess I will call it a draw with Cindy. That ole girl really gave it a good try. In July I did 9 rounds today I eeked out one more round to make it a total of 10 rounds. 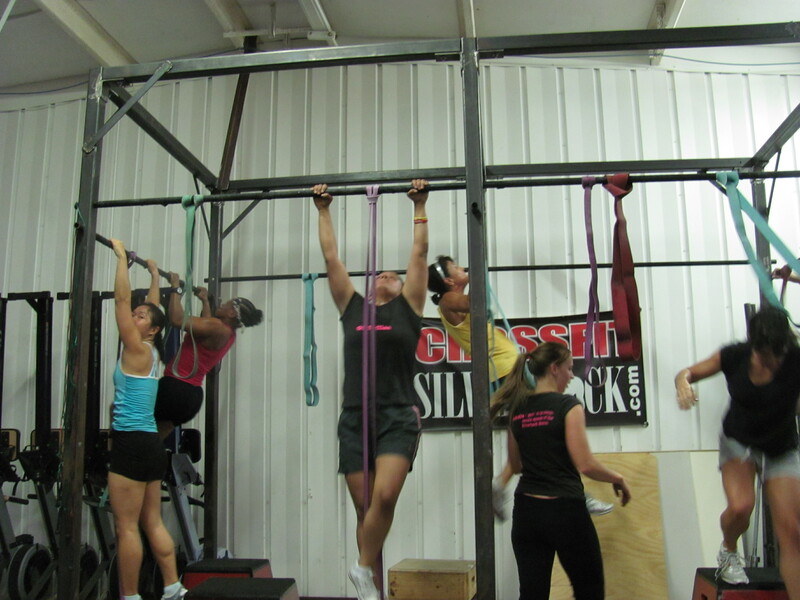 Girl push ups and red band pull ups. Thanks Mia and Elizabeth for getting me to a higher level(80#) with cleans. 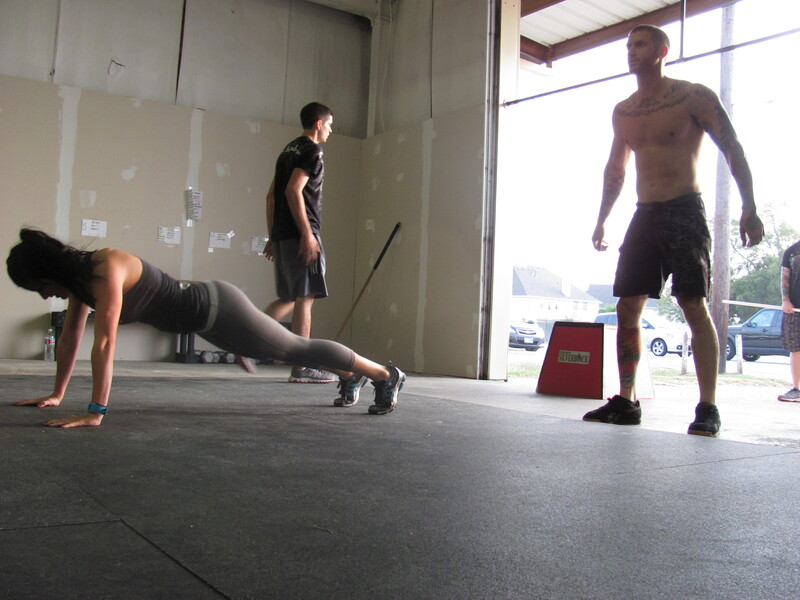 Thanks Mia and Bear for all the help with the red band during the WOD.